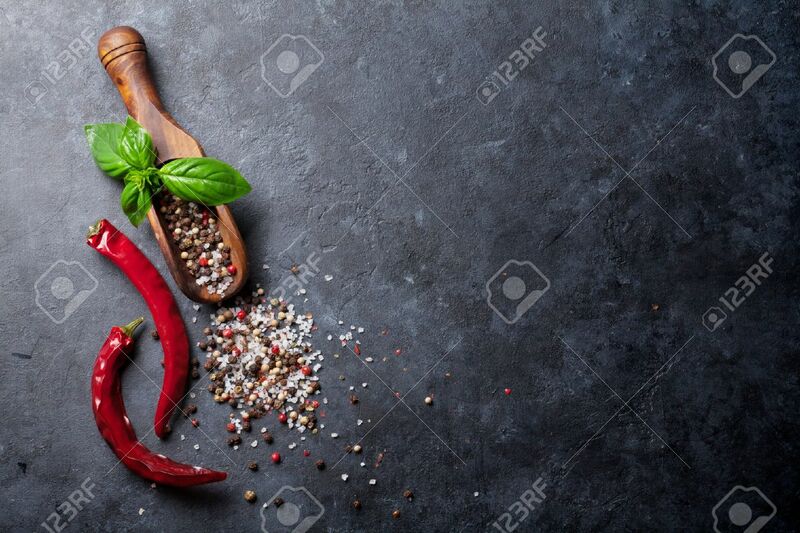 Pepper And Salt Spices, Basil Herb And Chili Pepper. Red, White.. Stock Photo, Picture And Royalty Free Image. Image 59667847.